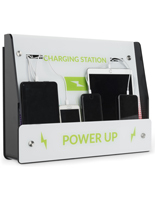 This multi device charging station organizer is the perfect accessory for events, lobbies, and waiting areas. 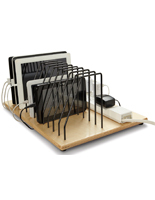 Equipped with ten cables, each fixture allows you to add numerous cell phones or tablets to power-up at once. 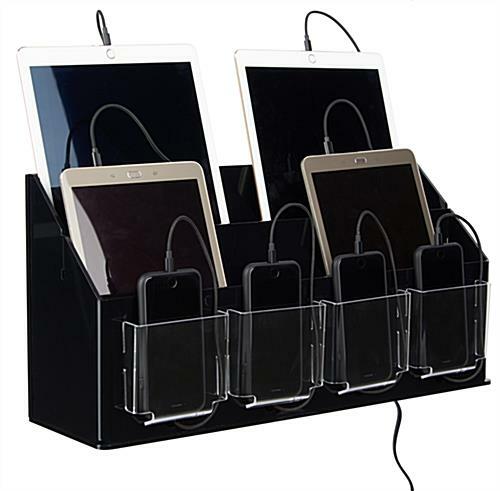 The black device charging station organizer is a great way for boosting your smart gadget battery while keeping it neatly placed within the dock. 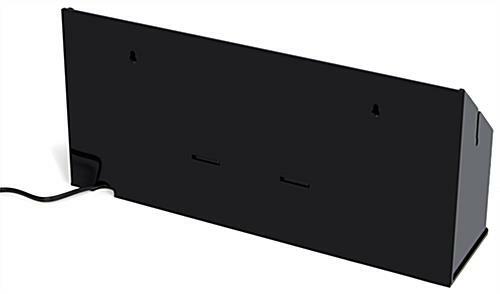 These fixtures are compatible with Apple® cell phones, Galaxy tablets, or any other products that utilize either Lightning or micro-USB connectors. 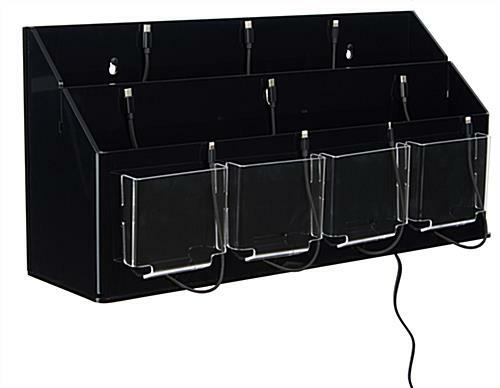 This countertop station organizer includes rubber feet to keep the dock stabilized when placed on the desk or counter. 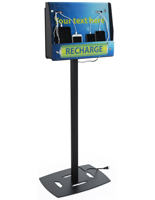 The smart power-up kiosk will provide a stress free area for passersby knowing their battery will be restored in a short amount of time! 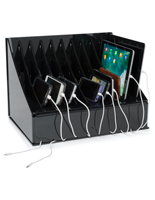 21.1" x 10.1" x 6.6"
4.3" x 4.0" x 1.0"
20.4" x 6.5" x 2.6"
This is a great product, easy to assemble and the security of the changing cables is perfect to eliminate someone taking them with them when they are finished charging their device. 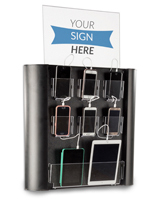 Great product, Highly recommended. Thank you so much for the kind words, Samantha! 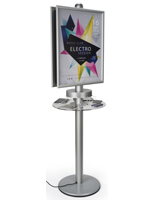 We appreciate your feedback very much and are happy to hear that you're product is working out so well for you! 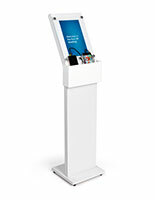 Love this charging kiosk! 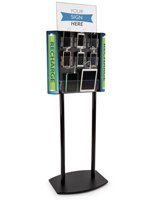 It is a nice space saver. 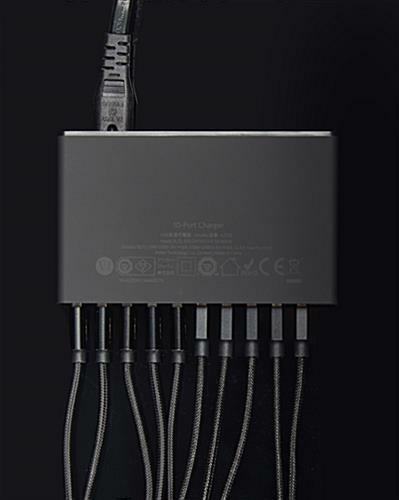 The way it is engineered will keep the cords from being stolen.